Initial PAT Testing provides a professional Portable Appliance Testing service to businesses in Leicester, Leicestershire, Market Harborough and now offering services in Stratford upon Avon, Warwick and Leamington Spa and surrounding counties at a competitive rate. Our aim is to help employers comply with Health & Safety Laws so that the safety of their employees is assured. We carry out a Formal Visual Inspection, which is followed by the necessary electrical tests using professional, fully calibrated PAT testing equipment. A label is attached to each item, clearly showing the result of the test and a Register/Certificate will be issued upon completion. Any failed items will immediately be brought to your attention. Any minor faults such as loose wiring or faulty fuses will be repaired at no further cost before re-testing the item.  Our engineers are qualified to City & Guilds Level 3 Inspection & Testing of Electrical Items. We hold Public Liability Insurance £5,000,000.